A WOLF IN DOG'S CLOTHING? IS THE DOG A TRUE PACK ANIMAL? psychological welfare of man's best friend, the domestic dog. For tens of thousands of years the dog has coexisted with mankind, but over the past few decades the dog’s primary place in Western culture has shifted from that of working animal to pet companion. The mind of a dog kept as a family pet is no different from that of a working dog, and so in order for our beloved companions to lead healthy and happy lives with us, we must endeavour to fulfil their needs as animals and dogs, communicate with them in ways that they understand, and create a safe and loving home environment. 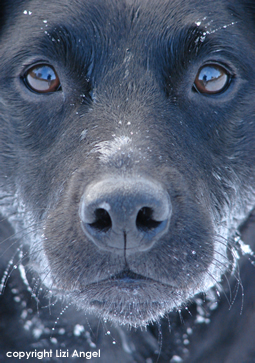 Interpreting dog behaviour correctly is fundamental to the prevention and resolution of problems. From nuisance barking to inappropriate marking, with the huge range of 'off-the-shelf' corrective training tools available today coupled with modern life demanding 'quick fixes' for problems, it's easy for desperate dog owners to reach for the latest gadget in the hope that it will deliver a speedy and lasting solution. Sadly and all too often, this only serves to drive the dog further into its own world, and either leaves the problem unresolved, or creates another in its place. What Canine Mind offers is a basic introduction to dog behaviour psychology, and aims to provide pet dog owners with foundational information on which to build, improve and deepen the human-canine bond for an enjoyable, life-long relationship with their dogs.